Jobs had been suffering from various health issues following the seven-year anniversary of his surgery for a rare form of pancreatic cancer in August 2004. Apple announced in January that he would be taking an indeterminate medical leave of absence. Jobs then stepped down as chief executive in late August, citing his inability to “meet my duties and expectations” stemming from his illness. “Those of us who have been fortunate enough to know and work with Steve have lost a dear friend and an inspiring mentor. Steve leaves behind a company that only he could have built, and his spirit will forever be the foundation of Apple,” the company statement said. One of the most legendary businessmen in American history, Jobs turned three separate industries on their head in the 35 (April 1, 1976) years he was involved in the technology industry. Jobs was born in San Francisco in 1955 to young parents who gave him up for adoption. Paul and Clara Jobs gave him his name, and moved out of the city in 1960 to the Santa Clara Valley, later to be known as Silicon Valley. Jobs grew up in Mountain View and Cupertino, where Apple’s headquarters is located. Back in California, Jobs’ friend Steve Wozniak was learning the skills that would change both their lives. When Jobs discovered that Wozniak had been assembling relatively (for the time) small computers, he struck a partnership, and Apple Computer was founded in 1976 in the usual Silicon Valley fashion: setting up shop in the garage of one of the founder’s parents. By 1985 Apple CEO John Sculley–who Jobs had convinced to leave Pepsi in 1983 and run Apple with the legendary line, “Do you want to spend the rest of your life selling sugared water or do you want a chance to change the world?”–had developed his own ideas for the future of the company, and they differed from Jobs’. He removed Jobs from his position leading the Macintosh team, and Apple’s board backed Sculley. Jobs resigned from the company, later telling an audience of Stanford University graduates “what had been the focus of my entire adult life was gone, and it was devastating.” He would get the last laugh. He went on to found NeXT, which set about making the next computer in Jobs’ eyes. NeXT was never the commercial success that Apple was, but during those years, Jobs found three things that would help him architect his return. The first was Pixar. Jobs snapped up the graphic-arts division of Lucasfilm in 1986, which would go on to produce “Toy Story” in 1995 and set the standard for computer-graphics films. After making a fortune from Pixar’s IPO in 1995, Jobs eventually sold the company to Disney in 2006. The third was Laurene Powell, a Stanford MBA student who attended a talk on entrepreneurialism given by Jobs in 1989 at the university. The two wed in 1991 and eventually had three children; Reed, born in 1991, Erin, born in 1995, and Eve, born in 1998. Jobs has another daughter, Lisa, who was born 1978, but Jobs refused to acknowledge he was her father for the first few years of her life, eventually reconciling with Lisa and her mother, his high-school girlfriend Chris-Ann Brennan. Jobs returned to Apple in 1996, having convinced then-CEO Gil Amelio to adopt NeXTStep as the future of Apple’s operating system development. Apple was in a shambles at the time, losing money, market share, and key employees. 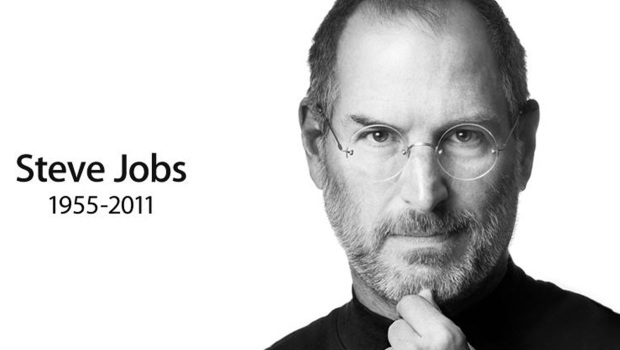 By 1997, Jobs was once again in charge of Apple. He immediately brought buzz back to the company, which pared down and reacquired a penchant for showstoppers, such as the 1998 introduction of the iMac; perhaps the first “Stevenote.” His presentation skills at events such as Macworld would become legendary examples of showmanship and star power in the tech industry. Jobs also set the company on the path to becoming a consumer-electronics powerhouse, creating and improving products such as the iPod, iTunes, and later, the iPhone and iPad. Apple is the most valuable technology company in the world, and has a market capitalization second to only ExxonMobil, which Apple surpassed multiple times this past August. He did so in his own fashion, imposing his ideas and beliefs on his employees and their products in ways that left many a career in tatters. Jobs enforced a culture of secrecy at Apple and was an extremely demanding leader, terrorizing Apple employees when he returned to the company in the late 1990s with summary firings if he didn’t like the answers they gave when questioned. Jobs was an intensely private person. That quality put him and Apple at odds with government regulators and stockholders who demanded to know details about his ongoing health problems and his prognosis as the leader and alter ego of his company. It spurred a 2009 SEC probe into whether Apple’s board had made misleading statements about his health. This entry was posted in Uncategorized by anatango. Bookmark the permalink.